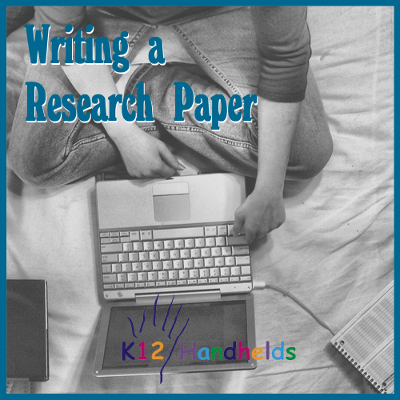 A research paper is a type of academic writing that involves choosing a specific topic, researching what experts have to say about the topic, and then analyzing that research and adding your own thoughts. Writing a research paper is a structured process that we will explore in this book. If you follow the steps outlined here, you will be on the path to a strong final research paper. Writing a research paper begins with choosing a topic and finding a focus for the topic that will guide the search for information. You will then need to conduct research, write an outline, and write your paper. Do research on your topic and take notes. 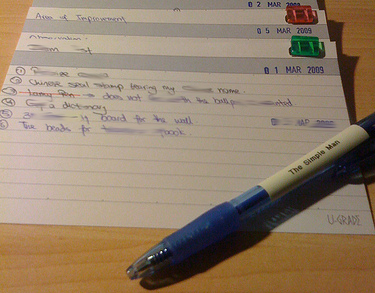 Arrange your note cards by topic. Write an outline for your paper based on your note cards. Write a rough draft for your paper based on your outline and note cards. Have a peer review your revised draft and make comments. Write a final draft of your paper. Create a Works Cited page listing all your sources in MLA format. Double-check your work, and turn it in! Choose a topic that interests you and that is suitable for research in the facilities available to you. The topic must be narrowed so it is suitable for the assignment. 1. Which of these is a better research paper topic? 2. Which of these is the best research paper topic? 3. Which of these is the best research paper topic? A focus question is the main question that your research paper will explore and answer. 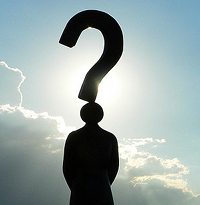 After selecting your topic, formulate a question that will help guide your research. This question should also generate a number of subtopics. Your research should provide an answer to your focus question and support for your thesis statement. Example: What is unique about the Mountain Lion? 1. Which of these is the best focus question for the topic the Chesapeake Bay? A) What has happened to algae levels in the Chesapeake Bay since the 1980s? B) How has the environmental condition of the Chesapeake Bay changed since the 1980s? C) Where is the Chesapeake Bay? 2. Which of these is the best focus question for the topic dolphins? A) What are dolphins like? B) What do dolphins eat? C) How do dolphins communicate with each other? 3. Which of these is the best focus question for the topic San Francisco? A) How did the 1915 world exposition affect the city of San Francisco? B) How has the history of San Francisco affected the city today? C) When was San Francisco started? A thesis statement is a single declarative sentence that states the controlling idea of your research paper. It is the answer to your focus question. 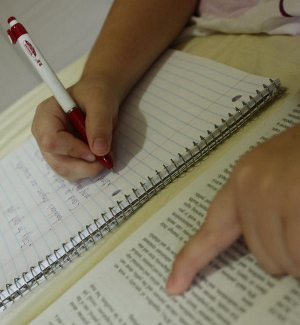 It narrows the topic to a single idea that you want readers to gain from your essay. It asserts something about the topic, stating your purpose, your opinion, and your attitude. The thesis is usually the first or last sentence in the introductory paragraph. Example: Since the Mountain Lion has extraordinary vision and is extremely fast, it is the one of the most feared animals in the wild. A) In 2005, NASA scientists Carol Stoker and Larry Lemke believed that they found evidence of life on Mars. B) There is most certainly life on other planets. C) While no evidence of life on other planets has been found yet, research is constantly being done into this intriguing area. D) There is no evidence that there is life on other planets. A) It is very important for people to prepare for natural disasters. B) The critical steps that everyone should do to prepare for natural disasters are to have a plan, to have supplies ready, and to stay informed. C) To prepare for a an earthquake, it is important to know what to do when one hits, to have emergency supplies ready, and to stay informed of what is happening. A) Although the United States broke ties with Cuba after the Cuban Revolution of 1959 to make a political point, that decision has not helped to change the situation. B) After the Cuban Revolution of 1959, the United States broke ties with Cuba because it was a dictatorship. C) The United States doesn’t like Cuba because of their politics. After you have a topic and a thesis statement, you need to begin doing research on your topic. As you are doing research, you need to write down information about the books, web sites, or other resources you are using. You can use index cards to do this. During or after reading a resource for your research paper, you need to record the information required to complete a source card. Some information may not be available, but you should attempt to find all of the information to complete each source card thoroughly. 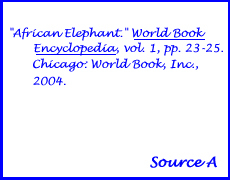 If you take notes from a source, you must complete a source card for your Works Cited page. DO NOT LOSE THEM. If you are using index cards, put them in research folder. If you are using a handheld or another computer, make sure to back up your file. To complete your source cards, you will use the MLA format. You can see examples of the MLA format here. Be sure to indent every line under the first one. Make sure to put a letter for each source card in the lower-right corner (A, B, etc.). This will be used to cross-reference your notes to the source. Some of your sources should be books. Others should be Internet sources. 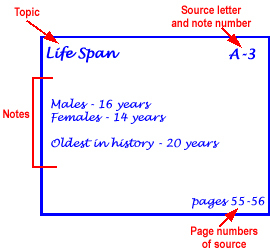 Here is an example of a source card. Make sure the reference you are using deals with the topic of your paper. Think about the subtopics or questions for research and skim the text first by looking for bold headings, key words, captions, and graphics. If the resource is useful for your research, complete a source card. Read one paragraph or section of text at a time. Reread the text if you do not understand a word or idea. Use context clues or the dictionary to help you understand the information. To take your notes from each source, you can use index cards, or you can record the information on your handheld. Only one subtopic with details should be written on each note card. At the top of each note card, write the subtopic in the left top corner. In the right top corner, write a letter and number that corresponds to the source in which you took the information. The first note card for Source A should be numbered A-1, the second A-2, etc. Write the page number(s) of the source that the note came from in the bottom right corner. See the example below. Remember not to copy the text word for word, and make sure to record your source information. As you collect research, sort your note cards by subtopic. For example, all note cards with information about physical appearance should be put together. This will help in organizing the information that you have collected for the research paper. This will also tell you if you have too much information about one topic or not enough about another. Make sure you don’t lose your research note cards. They will provide the “meat” of your paper. If you are using index cards, rubber band them together and put them in a plastic bag in your research folder. If you are using a handheld or another computer, make sure to back up your file. Before writing the rough draft of you research paper, you need to develop a working outline to organize your paper. The outline consists of your topic, thesis statement, and table of contents for the paper. Use Roman numerals (e.g., I, II, III, etc. ), letters (e.g., A, B, C, etc. ), and numbers (e.g., 1, 2, 3, etc.) to construct the outline. Your working outline may change during the writing of the rough draft. Therefore, you will be developing two outlines for the research paper, a working outline and a final outline. Each Roman numeral in your outline should represent a paragraph. Each letter should be a supporting idea. Each paragraph should have at least three supporting ideas. The first paragraph of your outline should be an introduction. The last should be a conclusion. In between that, you will need about three body paragraphs to present your supporting details and research. The exact number of paragraphs will depend on your topic. Here is an example of an outline. The rough draft is the first draft of your paper. This is when you sit down and start writing from your outline and research. In your rough draft, don’t worry too much about getting everything perfect. You will revise and edit the paper later. Focus on the content and getting all of your ideas and research down on paper. If you are handwriting your first draft, write it on every other line so that you can revise it later. 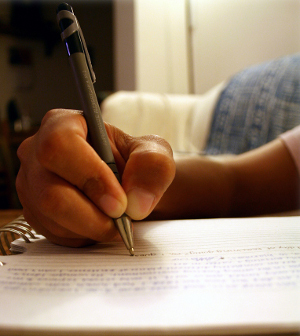 Begin the rough draft by writing an introduction that captures the reader’s attention. In the introduction, make sure to introduce your topic and include the thesis statement at the beginning or end of the paragraph. The supporting paragraphs should be written from your organized note cards. Use your outline as a guide for organizing your writing. Write the supporting paragraphs by paraphrasing your notes into complete sentences. You must include a variety of sentence structures to keep the reader’s attention. DO NOT COPY DIRECTLY FROM SOURCE TEXTS. YOU MUST USE YOUR OWN WORDS. Your final paragraph is your conclusion. It should restate and reinforce your thesis statement. After you’ve finished writing the complete first draft of your paper, you should revise it to make it more interesting and readable. The purpose of revision is to make sure your writing is clear and interesting, that your points are well organized, that you have adequate details, and that you have accomplished the mission of your thesis statement. 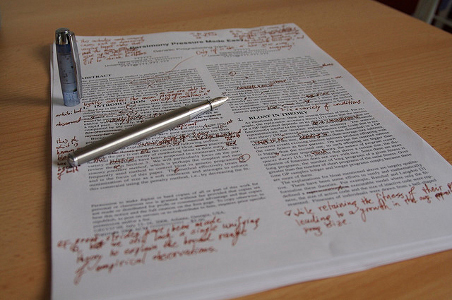 A good first step in revising is to look at the content of your paper. Did you follow the outline? Did you include all the relevant information from your note cards? Are your ideas well organized? Do you have enough detail? Look at each paragraph separately. What is the topic sentence of each paragraph? Do you have enough information to support that sentence? If not, you may need to add details. To do this, read the paper as though you know nothing about the topic. If you were a reader who was new to the topic, what else might you want to know? Those are the details to add. If you don’t have enough research, you may need to go back and do a bit more at this point. 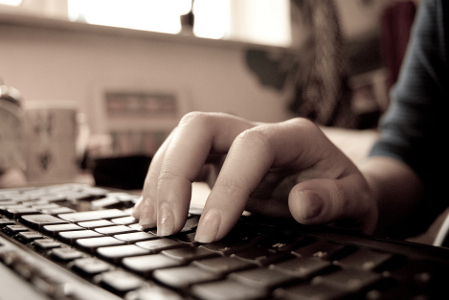 Once you are sure you have the right content and enough detail in your paper, check that your writing flows smoothly. If you read the paper from beginning to end, it should flow easily with no obvious starts, stops, holes, or bumps. A part of good flow is using effective transitions. Next, review your paper for clarity. Again, try to read your paper not as the writer, but as an outside reader. (Sometimes, it is helpful to put the writing aside for awhile and then to read it later with a fresh perspective.) Read only the words on the paper and don’t think about all the research or other knowledge you have on the subject. Is the paper clear? Does the thesis statement naturally follow from the information presented? Does the paper make sense? Has the goal of the paper been accomplished? Has the focus question been answered? Toward the end of the revision process, it’s time to trim the fat. More is not necessarily better, so it is important to get rid of words, phrases, or ideas that don’t add anything. Read each sentence carefully and see if there are extra words that can be dropped without changing the meaning. See if there are sentences that are repetitive or that have nothing to do with the topic sentence of the paragraph. After you revise your paper, you need to edit it. This is the step where you look for errors in spelling, punctuation, or grammar. It is also a good idea to have a peer review your paper as well. Often, it is easier to see errors in something you didn’t write. After revising your rough draft of the research paper and having a peer review the paper, you are ready for your final draft. The final draft should be typed. Your final paper should also include a title page and Works Cited page. This is the first page of the research paper. It should be typed and should include your name, the title of the paper, and the date in the center. The Work Cited page goes at the end of research paper. Use your source cards to recall the sources you used. Put them in alphabetical order, and use the MLA format to complete the Works Cited page. Be sure to indent every line under the first one. This is an example of an outline for a research paper. Focus question: Why does Africa not produce enough food to feed its people? Thesis statement: Although Africa has a great deal of land and an abundant labor force, a shortage of food has often been caused by climate, dependence on a limited number of crops, and a lack of advanced technology. Thesis: Although Africa has a great deal of land and an abundant labor force, a shortage of food has often been caused by climate, dependence on a limited number of crops, and a lack of advanced technology.